Directed by Venkat Prabhu, "Masss" is reportedly a supernatural fantasy thriller starring Suriya and Nayanthara in the lead roles. The new poster of Suriya starrer ‘Masss’ had the hero donning a grungy cool new look and the teaser gives us an inside glimpse of what the film will be like. 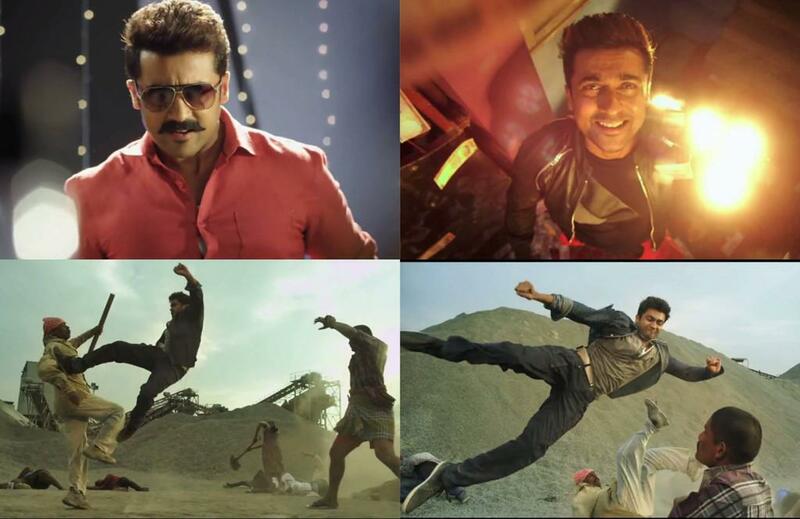 Suriya’s ‘Masss’ teaser was trending all over the social networking sites. The film will be release simultaneously in both Tamil and Telugu languages. The film had set social media abuzz and is the much awaited film down south this year. Suriya meanwhile has updated his numerous followers on the audio release that they can expect some great stuff from Yuvan. This is what he tweeted. Really can't wait for you all to hear Yuan's music..! Specially Piravi song and his theme ???? Phaaaa!! ?? Will the evergreen Mankatha theme be bested by the aforesaid Masss theme? We have to wait for a few more days to decide. The music rights of Suriya - Venkat Prabhu's much-expected Masss has reportedly been bagged by Eros Music. The audio launch date is expected to be announced soon. Yuvan Shankar Raja takes care of the score while Thaman is the guest composer for a number. According the latest info from the trusted sources says that, Makers are decided to cancel the audio launch function and they will release the audio directly into market. Masss Tamil audio will be directly launched through FM and there will be no audio launch event. Masss movie dubbing into Telugu language and there we can expect the audio launch function. To promote the movie in the both AP and Telangana states, Masss makers are planning to launch the event on may 4th,2015. We can expect the “Masss” Tamil audio release on the end of april or early may. Audio directly goes into market,Itunes etc. Masss stars Nayantara and Pranitha as its female leads. RD Rajasekhar will be the cinematographer. The film will be distributed by Eros International and is expected to hit the screens worldwide on May 15, 2015.